In many ways, our population is growing older. People are living longer than ever (despite chronic health conditions). Specially, there are 55 million seniors over the age of 65 and 12.5% over the age of 85. Those who are 85+ are the second fastest growing age bracket in the U.S. as of 2010. This means that we have an aging population that needs certain amenities. As a person of a certain age, making the decision to move your home can be difficult. Whether you’re downsizing or moving into an adult community, senior citizen complex or assisted living facility, you need to find a moving company that you can trust and depend on. Finding reputable moving companies is a process and shouldn’t be taken lightly. Here’s what you need to know when choosing a moving company. 1) Health: This is the number one reason seniors move. If you or a family member is experiencing a decline in health, it’s important to consider both short and long-term options. Finding an area with easily accessible and quality healthcare is crucial. Many seniors with deteriorating health choose to move closer to a family member that can assist when needed as well. If choosing to live in a retirement community, access to quality healthcare should be one of your first questions. 2) Community Services: Finding an area or living situation that has an array of amenities is important too. Access to useful services like homecare, cleaning, snow removal, transportation and home repair reduces stress on both the senior and his/her family members. 3) Recreation: As a senior citizen, finding activities that lead to a higher quality of life is also crucial. Recreational facilities and access to outdoor pursuits, while highly dependent on the individual’s taste, can be a plus. Some older individuals may also want access to a good volunteer organization or church group, both things to take into consideration when finding a new home. Moving isn’t easy for anyone, but if you’re leaving a home you’ve lived in for a very long time and/or dealing with a somewhat debilitating illness, it can be all the more difficult. Find a home or place of residence that best suits your or your loved ones’ needs and the moving process will be all the better. As a senior looking to transition to a new home, here are some more resources to make it a seamless moving experience. 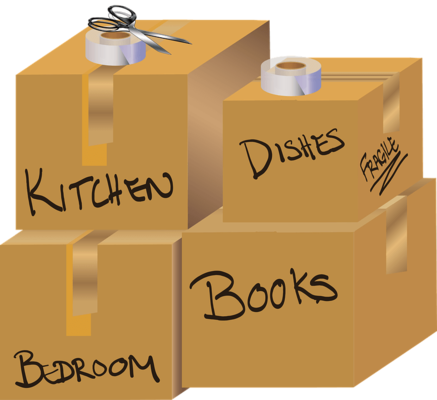 Consider All Jersey Moving & Storage for your next move. We are a top rated NJ mover located in Bridgewater, NJ. We are residential movers, business movers, office movers, and well-known piano movers. We are the mover of choice if your moving to Washington, DC, Boston, MA or anywhere in between and want direct service. We offer local moving and long distance moving services within a 500-mile radius. Visit https://www.alljerseymovers.com/contact-us today for your free moving quote.